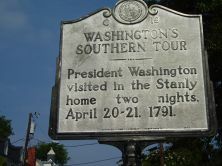 President Washington visited in the Stanly home two nights, April 20-21, 1791. 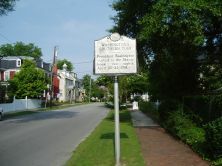 Washington arrived on the outskirts of New Bern on the morning of April 20 and was greeted by a group of leading citizens who escorted the President into town. He recorded in his diary that the town had about 2,000 residents and that the ‘buildings are sparce and altogether of wood.” He noted that some of those buildings were “large and look well.” It is unclear where Washington lodged while in New Bern If he held true to his desire to use taverns or inns, he may have taken advantage of the town’s options while visiting with other members of the city’s well-to-do, including John Sitgreaves, and Richard Dobbs Spaight. 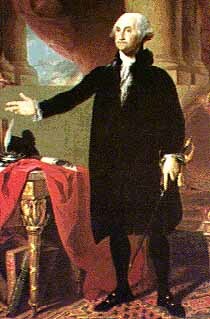 Washington was well-entertained during his two-day visit, including lavish meals and dances at colonial governor William Tryon’s palace. Washington departed New Bern on April 22, heading further southward toward Wilmington.